Youth programs at OLV are created with a model of comprehensive family faith formation in mind. Youth and parents learn and pray together, while also attending sessions by grade level groupings. Regular sessions are held Sundays after 10 am Mass until 12:30 pm from mid-September to mid-May. 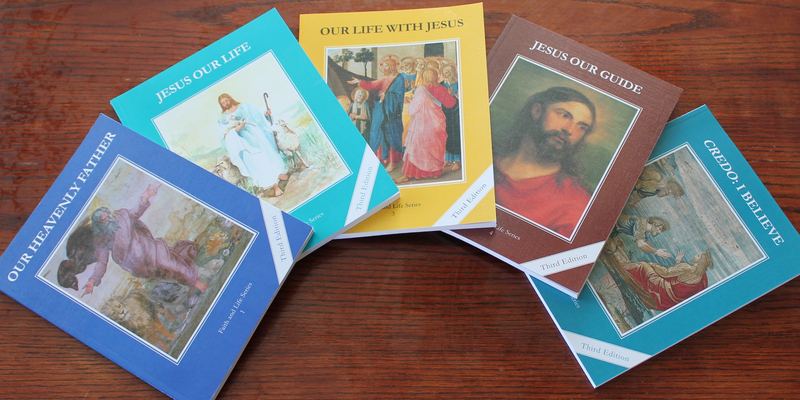 As a part of the Baker Diocese, the core program that we use to guide our curriculum development for 1st-7th graders is Faith and Life, 3rd edition by Ignatius Press. 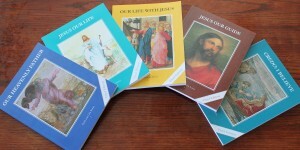 Teachers use the Parish Catechist Manuals in order to better utilize the resources in the context of weekly lessons. The grade level outlines provide a general idea of topics and concepts for the year; however, some lessons will be span multiple weeks as we have more than 25 sessions in a year. In addition, we have multi-grade level groups, rotating between grade levels on alternating years. LifeTeen is the core resource for the 8th grade/high school youth group. With a mission focused on leading teens closer to Christ, LifeTeen offers a range of resources, but we most frequently use their Life Nights, which can be a series of lessons or stand alone lessons. They often have a mixture of activity, prayer, Scripture connections, teaching points, and discussions. Some of the students (recommended in 2nd graders) also be prepare for the sacraments of Reconciliation and Eucharist. Parents take an active role in preparation for the sacraments, including supporting their child’s commitment to prepare; helping develop their understanding of Reconciliation, the Eucharist and prayers; and attending parent sessions and parent-child workshops. Some of the students (recommended by 6th grade) also be prepare for Confirmation. Candidates have additional responsibilities to authentically grow in their faith and serve their parish community. They attend candidate-sponsor workshops and a retreat. Youth select a sponsor to support and guide them on throughout their preparation and for on-going guidance throughout their lives. It is beneficial if the sponsor is a baptismal godparent in alignment with the connection between Baptism and Confirmation. Sponsors need to be at least 16 years old, Confirmed, and in good standing with the church (see additional details on page 5). Sponsors attend youth-sponsor workshops. Parents also take an active role in preparation for the sacrament, including supporting their child’s commitment to prepare and attending sponsor-youth workshops in the event that the sponsor is unavailable or to attend alongside the sponsor. In addition, children will be learning about safety through Called to Protect lessons.